Children with cancer often require pediatric intensive care; and thanks to such care, many of them have been able to overcome their leukemia. Intensive care resources are used even in incurable cases. Specifically used in order to relieve immediate symptoms and improve the quality of life. Practically all organs may be affected by cancer or by its treatment. The main complications include infections, hematological problems and electrolyte/ metabolic disturbances. Intensive care therapy is necessary to correct organic dysfunctions (cardiovascular, respiratory, renal, gastrointestinal, and neurologic). Intensive care therapy in children with cancer is not futile. There has been seen a reduction in mortality and an improvement in the quality of life for these children in the medium and long terms. There is something being done to these children that is improving their survival rates. On day 5 of chemotherapy, he was admitted to our intensive care unit (ICU) with tumor lysis syndrome (urate 24.6 mg/dl, LDH 1120 U/l, phosphate 4.0 mmol/l) and acute renal failure (BUN 122 mg/dl, creatinine 3.3 mg/dl) (normal range: urate 3.5–7.0 mg/dl, LDH 0–248 U/l, phosphate 0.81–1.53 mmol/l, creatinine 0.7–1.3 mg/dl, BUN 16.7–45.8 mg/dl). He was treated with hydration, sodium bicarbonate and 16.5 mg (0.2 mg/kg) of rasburicase for 3 days. Uric acid levels dropped to 0.1 mg/dl on the next day and remained low during the following days. Renal function improved and at discharge from hospital, plasma urate and creatinine were within the normal range. 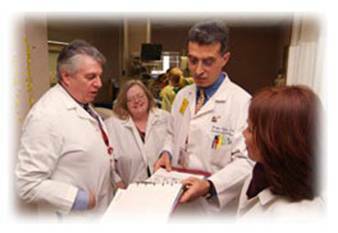 Dr. Roberto Sapolnik indicates that the interaction between the intensive care team and oncologists allows for the solution of extremely life-threatening situations for children with Leukemia. Intensive care in children with cancer is crucial for the improvement of survival rates of these children, with an increasing number of reports on the cure of neoplastic diseases. Something is happening in the intensive care wards that are not being explained or understood. Perhaps the intensive care staffs are unwittingly killing off the yeast, fungi and molds (cancer) that are choking off the life force of these unfortunate children. If Leukemia turns out to be a fungal infection of white blood cells called leukocytes then all will be explained. When fungal colonization and mycotoxin contamination is maximal one finds cancer growing and mestastizing at a maximal rate. Doctors in general are not very good at diagnosing fungal infections because their medical school training is based so heavily on the role of bacteria and viruses in the area of infectious diseases. Fungi have been a forgotten foe ever since the advent of antibiotics and this is perhaps one of biggest mistakes of allopathic medicine. The overuse and/or even occasional use of antibiotics can lead directly to deadly fungus infections. Laboratories display the same difficulty in diagnosing fungal infections: current tests for detecting the presence of fungi are both terribly scant and sorely antiquated. This is a serious problem for fungi populate late stage infections that are provoking or accompanying a range of life threatening diseases. 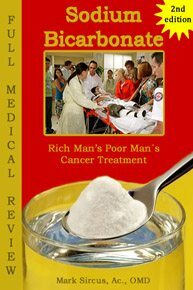 This is a chapter from the original Sodium Bicarbonate – Rich Man’s Poor Man’s Cancer Treatment, which is now updated with 180 pages of new information making it the only full medical review on the subject. 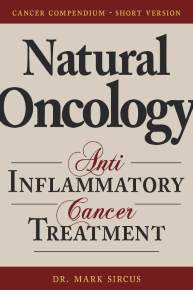 This chapter is just provides one clue among many suggesting that sodium bicarbonate should be tried in every case of cancer. For all intent and purpose it’s a nothing to lose and everything to gain treatment for the elimination of cancer wherever it may occur in the body.